I’ve yet to meet a story by P. Djèlí Clark that I didn’t like. Mind you, I’ve only read three of them, but on the evidence, he writes delightfully. The Haunting of Tram Car 015 is his second novella from Tor.com Publishing, and this one returns to the world of his fantastic 2016 novelette, “A Dead Djinn in Cairo”, where Egypt is one of the great powers and technology mingles with magic as a result of the actions of genius-savant mystic and inventor al-Jahiz in the mid-19th century. 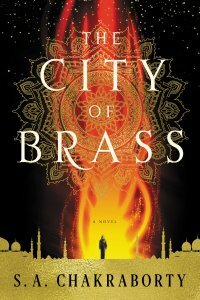 The year is 1912, and in Cairo, Egypt’s Ministry of Alchemy, Enchantments, and Supernatural Entities investigates crimes and disturbances to do with the otherworldly. Djinn, angels, and all manner of mysti­cal peculiarities fall under their remit. Something is haunting one of Cairo’s tram cars, and clearing up this problem falls to agents from the Ministry. Instead of following special investigator Fatma el-Sha’arawi, an extremely competent woman who wears European men’s suits and goes her own way, The Haunting of Tram Car 015 stars Agent Hamed Nasr, a modern man who isn’t quite as comfortable with modernity as he believes he is. Along with his new partner, youthful Agent Onsi (a Cairene Copt), Hamed finds himself landed with the task of dealing with an unusual mystical problem aboard a Cairo tramcar. The tram car seems to be possessed. Or somehow haunted – though Hamed knows that there’s never been an actual case of an attested ghost. Figuring out exactly what the issue is may require the use of expensive specialist consultants, however, and at first it seems like Hamed’s largest problem will involve departmental budgets and discretionary spending. 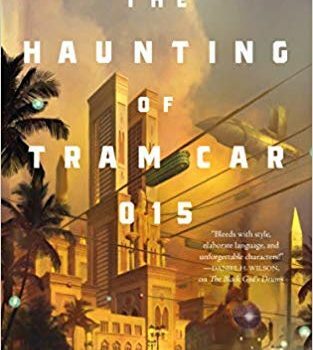 His quest not to blow his entire discretion­ary budget on one case leads him to odd places, and to request the aid of a female ritual specialist from Cairo’s underworld to try to find out what precisely is haunting the tram car. Things don’t go exactly as planned: this case may be a bit weird for Hamed’s general comfort. When the conclusion requires him to face down a baby-eating monster while dressed in disguise as a pregnant woman, well, at least it means he gets his picture in the paper, even if not as himself. One of the delights of this story is the worldbuilding. Djèlí Clark creates a vivid, lively, magic-influenced Cairo, a textured world that feels as real and believable as the city itself. The city is convulsed by the activism of Egyptian suffragettes, as a bill to give women the vote is before parliament, and every­where that Hamed goes he encounters a movement of women that crosses class and religious divides. (In our own history, the Egyptian feminist movement in the 1920s and ’30s was dominated by the upper classes, and Egypt enacted female suffrage in 1956 – before Andorra, Monaco, and Switzerland.) Hamed is occasionally startled and discomposed by the sheer amount of activity that he encounters. Hamed is an engaging and compelling main character, combining old-fashioned and modern sensibilities with a certain world-weary attitude com­mon to detective stories. He’s honest and competent and rather put-upon in the matter of paperwork and departmental budgets, and his sense of humour and humanity put life into the novella. The Haunting of Tram Car 015 has a somewhat mischievous, madcap air, and half of that derives from Hamed meeting new problems or new information, taking a moment to boggle at them, and then buckling down to do the work. 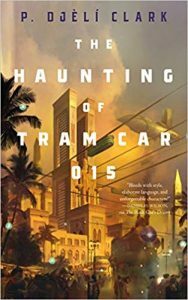 Fast-paced, elegantly structured, and with an eye for the ridiculous, The Haunting of Tram Car 015 is an absolute pleasure to read. 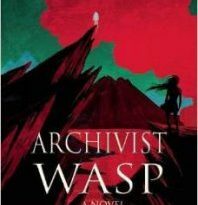 In Djèlí Clark’s hands, prose, characterisation, and worldbuild­ing combine to create a deeply enjoyable magical alternate-history procedural. I eagerly look forward to seeing what he does next – and I have to confess, I’m hoping for a full-length novel. These stories are very entertaining; many thanks to Tor.com for bringing them to my attention!